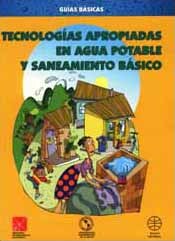 In the search for practical low-cost solutions that are easy to implement, Colombia's Ministry of Economic Development and the Pan American Health Organization (PAHO) present the second edition of this book on the use of appropriate drinking water and sanitation technologies, which is aimed at facilitating investment decisions by local authorities. When selecting the technologies presented in this book, special attention was paid to those that over the years have been culturally accepted by local communities in rural areas and even in small urban settlements throughout the country. Success in these matters calls for a process of sustainable technology transfer, acceptance, and appropriation that meets the needs of the target communities. The Ministry has developed a highly useful set of strategies and tools focused on community participation in the design, operation and management of water and sanitation projects. Focusing on basic sanitation and hygiene education, this publication is also a valuable tool for health promotion and prevention, as attested by the many training activities carried out jointly by PAHO and Colombia's ministries of health and economic development.